According to books on the history of City of Turku, the first tiled oven in Finland was built in the hall of Turku Castle by Hans Påtmakare, a mason, in 1543. Excavations in the castle courtyard have revealed renaissance tiles from the 16th century. 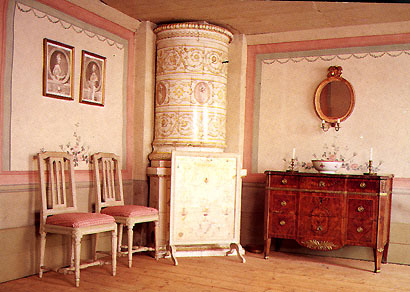 Count Ehrensvärd, the military commander who oversaw the construction of the Suomenlinna sea fortress, introduced the first tiled ovens to Helsinki at his home on the island. Nowadays his house is a museum. We have the expertise and experience of both antigue and modern tiled ovens. If you want to buy, renovate, install or sell a tiled oven, contact us! The society's chairwoman will answer all your questions. If you want to send email to the society, you can do it here. 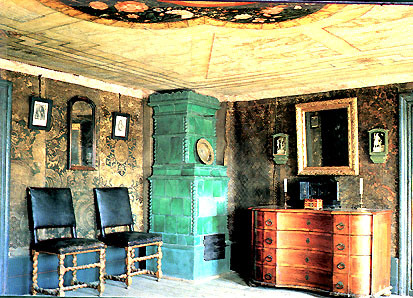 Chairs from 1680's, old wallpapers and a renessance oven. 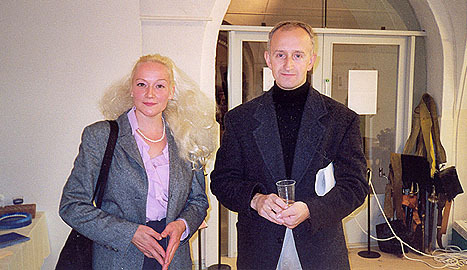 Photos G. Bäckman 1982. - the value of your investment can not fall! The foundation of the society: an artical in the Tuuma-magacine. Valuations and work with the aid of experts. Links to useful sites Sites worth visiting. 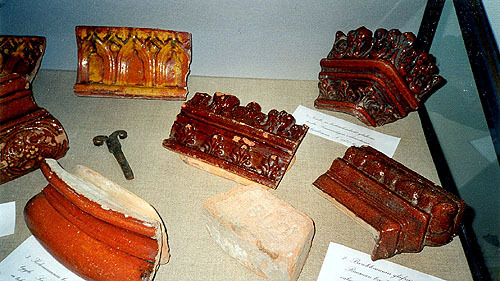 Some history of tiled ovens Extracts from a dissertation by Erik Bergh based on material from Turku Museum of History. Published in the Year book 1952.